Guest writer, Liliana Belchior met Swiss architect and designer Francesco Tadini. Working in the same architecture office, they discussed creativity together. While Francesco is an architect in the design department, Liliana is head of communications. They both have creative side projects that they invest dedication and energy for. 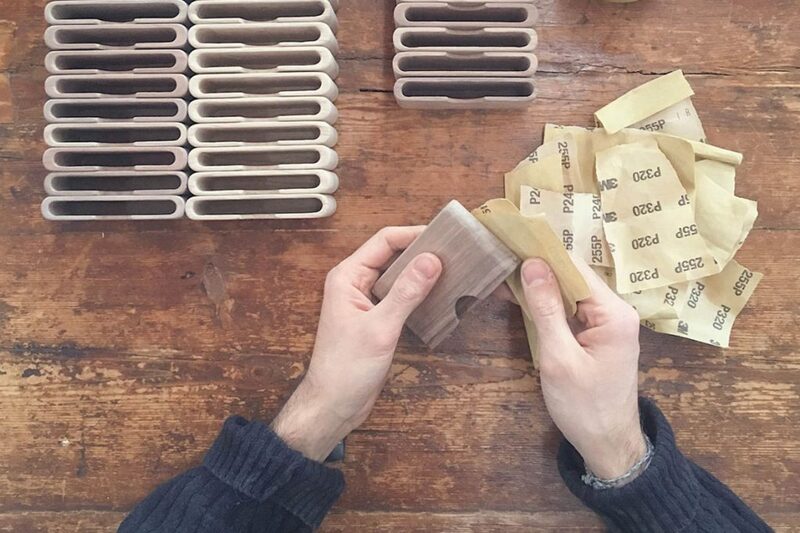 Designing and producing wood and leather accessories as well as furniture, Francesco runs his own label Tadini. As creative director and founder of Taste of Portugal, Liliana shares her passion for slow travel and design. She led the interview. When and how did you come up with Tadini ? I guess that it all started when I was a child. My father was a secondary school teacher and had his own sculpting atelier on the side. I spent a lot of time there. I grew up with a very creative father. When my father died, I took over his atelier. I started Tadini in 2013 while still studying at the Accademia di Architettura di Mendrisio. I felt the need for more freedom in my work. At the university you have to follow certain rules, you have to make compromises within the projects with other students. I wanted to create something on my own, based on my own rules. This is why I took some time off after finishing my Master in architecture. 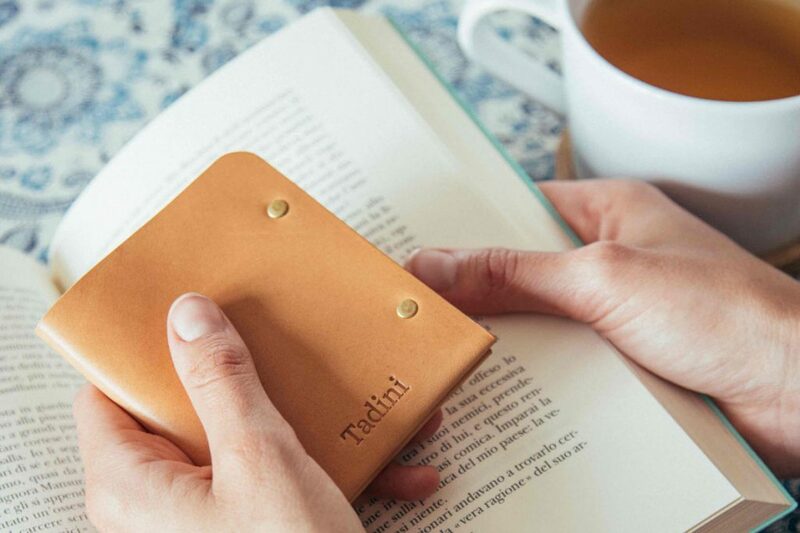 Tadini is an accessories and furniture brand. 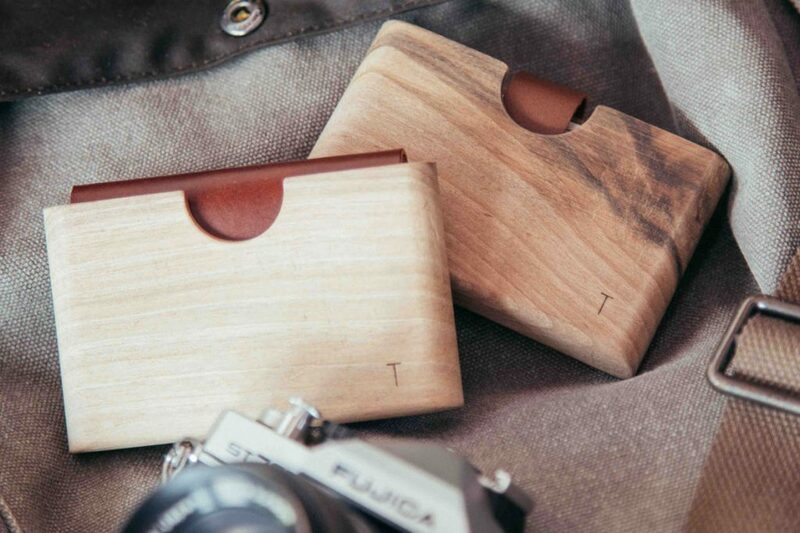 My first product was a wooden wallet. Meanwhile I also designed and made bags, stools and chairs. How to you get started? What inspires you? To be honest, I don’t read or buy any magazines. I rather like to get inspired by real objects, the ones you find in your daily life. Normally, an idea just pops up or not. I’m passionate about architecture too and my job requires a lot of time. Therefore, I have to use my spare time wisely and efficiently. I think, this reflects on my designs. I like clear and straight lines and I don’t want to make any compromises regarding the quality of my products. It’s also why I like to produce them myself. And because I do so, my products have always to consist of as less pieces as possible. Otherwise, it would be difficult for me to keep up with orders and production. So, I’d say that time has a big influence on my creative process, it’s my challenge and might therefore also be some sort of inspiration. Where do you see Tadini in the future? I’d like to keep everything as it is and feel free at what I do. In the end it’s why I started Tadini in the first place. It’s not only a lot of fun but I also take a lot of self confidence out of this project which I need in my other profession as an architect. I simply love to have new ideas, make a draft and then see that it actually works. The process at Tadini is must faster than for example when building a house. Architecture demands a lot of time until you finally see the result. At the moment I’m working on a chair design. I’m always interested in trying out new things. Do you have an role model? Yes, Jean Prouvé! I like his precise and clean lines in his designs.